Here’s the SCOBY I created using this process. In order to make your own kombucha, you need to have a starter culture otherwise known as a SCOBY (Symbiotic Colony of Bacteria and Yeast). That is the SCOBY floating on top in the picture above. If you have kombucha-making friends who can peel you off a layer from their own culture, or don’t mind ordering online and paying about $10 or so, you can get started that way, but if you don’t have access to a mother (that’s another word commonly used for the SCOBY) locally or prefer to save some money, you can make your own with a bottle of live kombucha you might buy in the store. 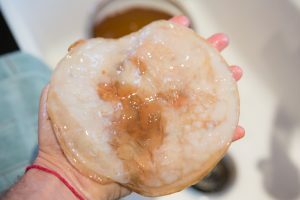 Since the kombucha you purchase at four bucks a pop in the store is alive with probiotics, those microorganisms will happily repopulate and create their own home (SCOBY) in your kombucha making vessel. 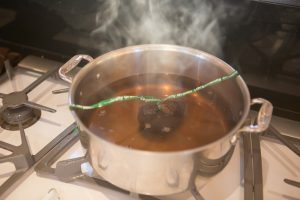 Bring 1/2 gallon of the water to boil and reduce to simmer. (I simply use half the water to allow it to come to a boil faster). I can add the remainder later to help bring down the temperature more quickly. Add the tea bags or make your own giant tea bag with some cheese cloth and the tea. When I make my own big tea bag, I like to twist it closed with a long twist tie sometimes found on some heads of lettuce in the market. I can then anchor that to the sides of the pot for easy removal. Simmer the tea for a few minutes and turn off the heat. Add the other half of the water to jumpstart the cooling process. Add the sugar (artificial sweeteners won’t work) and stir to dissolve. Once the tea has come down to room temperature, pour it in your kombucha vessel. I like to use a one gallon glass wide mouth cookie jar like this one. There is also a 2 gallon version with a spigot if you want to make more and dispense it right from the jar. Over the next couple of weeks, you’ll see a film form on the top of the kombucha. This is the beginning of your own home-hatched SCOBY. After about 10 days, taste the drink and see if you like it. 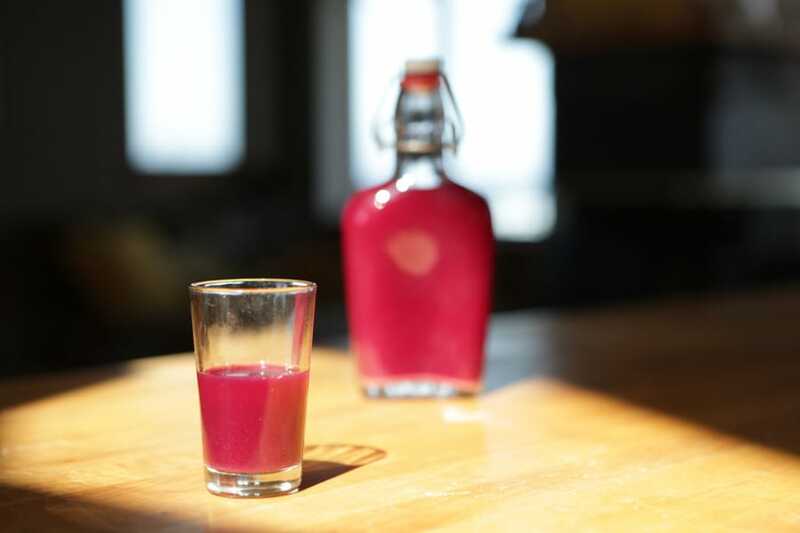 The longer you leave your kombucha to ferment, the more tart and acidic it will become, eventually turning to vinegar if you leave it go too long. When decanting, remove the mother (SCOBY) and place it in a clean bowl to await reuse. Bottle up your kombucha and start a new batch, this time with your new mother. Sometimes I have found that early batches of kombucha are not always as tasty and carbonated as subsequent batches. If you don’t like your first batch so much, your 2nd and 3rd batches should definitely improve. People sometimes ask, “What’s the Difference between a Kombucha Mushroom and a Kombucha Mother?” or “Is a Kombucha SCOBY really a mushroom?” The answer to these questions is that the word mushroom is simply slang sometimes used in referring to a SCOBY or “mother,” but a SCOBY is DEFINITELY not a mushroom! If you are having trouble getting your kombucha to be more carbonated, I have a separate post about adding fresh ginger to your bottling in a secondary ferment to help make your kombucha more fizzy. Good luck and happy Booching! Thanks for this! 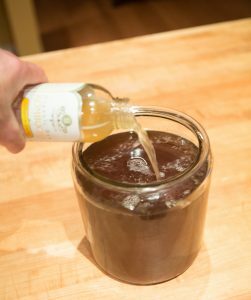 Being a died in the wool DIYer this recipe appeals to me and has finally pushed me back into Kombucha production (without the online ordering or searching out others with SCOBY). Awesome! Congrats! Makes me wonder where the original culture came from. Is there a fruit or combination that carry the proper bacteria and yeast. For apple cider vinegar, although I haven’t tried it yet, I think all that is needed are the apple skins. Anyway, good luck to you! I love the recipes, but what I am about to ask ;I hope I don’t disgust you. but have you heard of fermented Urine. I am not a troller; I am only asking because I know fermentation is the cure to a lot of things; I read an article that Fermentation Urine is an natural antibiotic! Valuable information on how to make high quality monoatomic (ORMUS) elements from 3-9+ month old aged/fermented urine. Consuming aged urine monoatoms allows one to experience m-state monoatomic consciousness which resonates beyond duality/polarity consciousness and is aligned to harmonic resonances of higher dimensional planes of existence. This human biotic (antibiotic) mushroom is the worlds most powerful natural antibiotic medicine of it’s time (2014) & is the male equivalent to the female KOMBUCHA (probiotic) mushroom. Fermented urine has friendly beneficial bacteria which promotes healthy skin collagen. The active ingredients in urine that is so good for the skin is urea, urea is the number one ingredient in the cosmetic industry. Urine also contains vitamins, minerals and other nutrients that have been filtered through the liver, kidneys and blood and is highly bio-available (absorb-able) to the body. !!!!!! !DISCLAIMER: The information on this video is not meant to prevent, diagnose, treat or cure any illness or disease. This information is for research purposes only, I can not be held responsible for any effects that these procedures might have on you or anyone you share this information with. Do these procedures at your own risk. Contact your health care professional before attempting any or part of these procedures. !!!!!!! 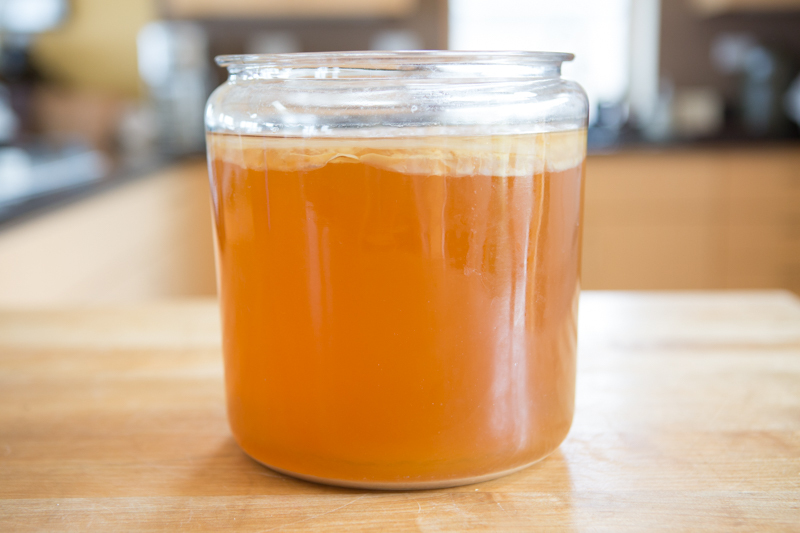 Curious – could I use the mother from my homemade Apple Cider Vinegar in recipes that call for SCOBY? My understanding is that ACV mother does not contain yeast, while the kombucha SCOBY does. You can try to use the MOV scoby, but I think you’ll end up with more of a vinegar output and less carbonation if any. If you try, let us know!